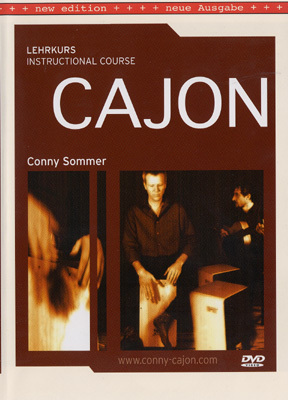 Conny Sommer‘s DVD offers detailed instruction for beginners and advanced students. In 14 chapters, he demonstrates many different kinds of rhythms, ranging from flamenco to hip hop. The use of these rhythms is illustrated with live-band. A music booklet with sheet music is included. Download-library with play-alongs in varying levels of difficulty and cajon solo-parts (with written notes).